The Sinhala & Tamil New Year or Avurudu (Sinhala term) is the most awaited cultural festival in Sri Lanka as it celebrates a time of prosperity and most importantly, a time when families all gather together in their family homes. The Avurudu festival is a time of “reconnecting” with the family. But for Sri Lankans living outside the country it was harder to be a part of the festivities their families were celebrating and they felt they were missing out on traditions that were close to their heart. Utilizing this opportunity along with the rapid rise of GIF’s on social media platforms and with the Avurudu Season around the corner it proved to be the best time to create a top of mind campaign. 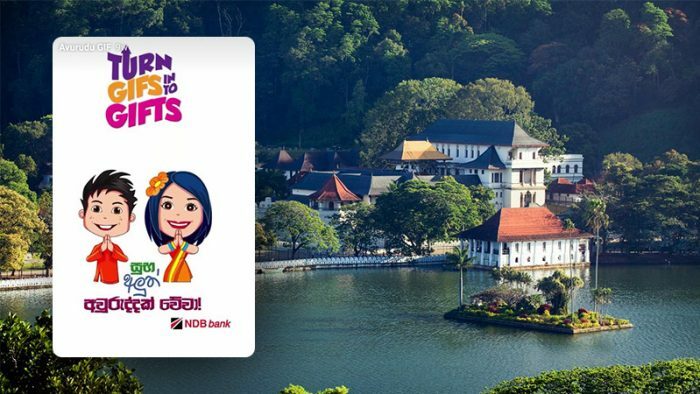 NDB Bank successfully launched the Avurudu Digital Sticker campaign driving brand awareness on to a communicative platform, making this one of the most digitally enabled campaigns in the world. The brand created 26 conversational GIF’s related to the New Year which included product messages about the bank. These GIF’s were in all three primary languages of Sri Lanka to ensure wide reach. These Digital Stickers provided a unique and attractive way to send Avurudu greetings to anyone celebrating the festival. Share these Avurudu GIF’s and win exciting and valuable gifts from NDB Bank. The conversational nature of these GIF’s also provided customers with interesting conversations related to the New Year that were circulated on group chats. Every single sticker had the NDB Bank branding at the bottom while maintaining the brand’s visual guidelines to its highest standard. The next step was accessibility and the bank took great priority in this step by providing customers with multiple options that can be used to reach these GIF’s. These options were every single GIF enabled digital platform ranging from Facebook, Twitter, WhatsApp, and Viber to even MMS or iMessages simply by downloading the GIPHY or Tenor mobile application. The Digital Stickers recorded over 77K keyword searches with over 2 million impressions all within a mere 21 days. These searches are excluding re-shares and manual uploads. In conclusion, this Digital Sticker campaign broke all barriers on what could be achieved with a local festival while also ensuring that it was reached to every single part of the world (including countries where Facebook is banned, e.g:- Russia, China) . The digital stickers also became the perfect element on how Sri Lankans abroad could share in the festivities despite being miles away and participate in the traditional feel of Avurudu. This provided every single person a chance to celebrate Avurudu on digital platforms which went beyond our country with Sri Lankans living in America even sharing these GIF’s with their American colleagues.